BELLE PLAINE, Minn. — Officials in a Minnesota city have agreed to allow the Satanic Temple, which does not believe in a literal Satan, to erect a monument in its Veterans Park after the group applied for inclusion now that a “limited public forum” has been created in the park to allow the presence of a cross grave marker that upset atheists. “It was discussed during our city council meeting when we authored the policy that groups that were unpopular or otherwise would put monuments in the park,” Belle Plaine City Administrator Michael Votca acknowledged to the Washington Post. As previously reported, the situation began last year after the Belle Plaine Veterans Club placed a memorial in the park that featured a soldier kneeling before a cross tombstone, such as are seen in some military cemeteries. The display was erected next to an inscribed stone honoring local residents who had lost their lives in various wars, from the Indian War of 1862 to the Korean and Vietnam Wars. The Wisconsin-based Freedom From Religion Foundation (FFRF) contended that the inclusion of the cross in the display promoted Christianity and failed to represent other religions or those who reject religion. It contended that even though the purpose of the display was not meant to be religious, the cross grave marker made it so, and asked that the symbol be removed since its placement on city property could be construed as government endorsement. As previously reported, the Satanic Temple launched a nationwide targeted effort last year to spawn “After School Satan” clubs in elementary schools that allow Child Evangelism Fellowship’s Good News clubs. 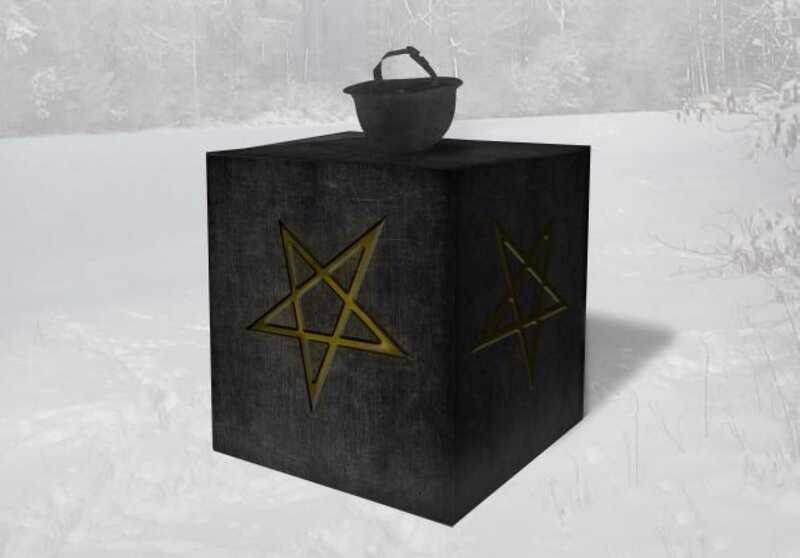 The Satanic Temple similarly launched an effort to erect an homage to Satan on the grounds of the Oklahoma capitol building in 2013 after the ACLU filed a lawsuit challenging the presence of a Ten Commandments monument at the location. According to its website, the “non-theistic” Satanic Temple does not believe in Satan at all, but only views the devil as a metaphor and a “symbol of the eternal rebel.” Some consider the group as essentially an atheist effort to make a point about religion.